Look out! Here I come! I'm the hug machine and I'll hug everything in sight! Our hug machine is a hugger extraordinaire. There's so many hugs coming out of this long-armed munchkin, the love is spreading right across town (and I'm wishing I lived in that town!). 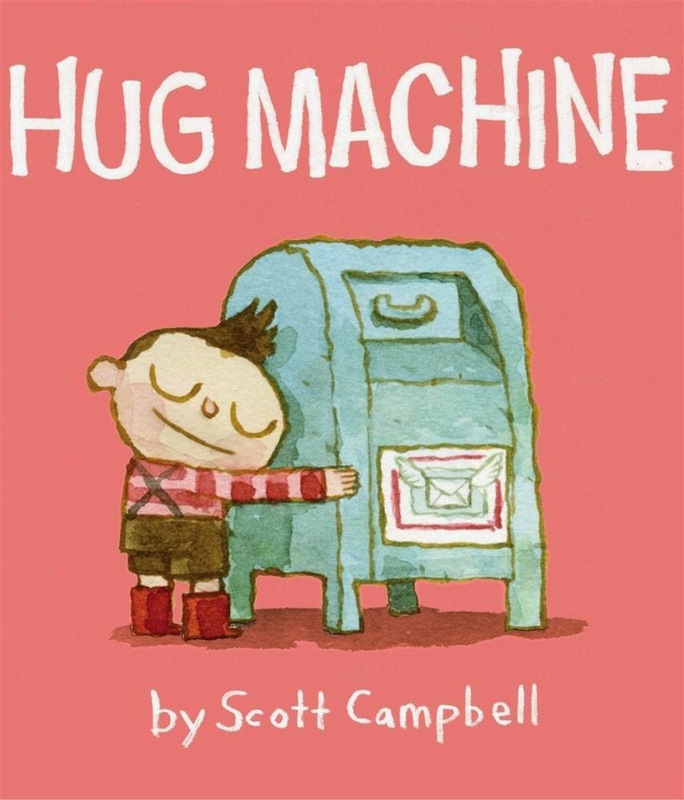 The hug machine is tireless. He not only hugs people he loves, and the neighbours, too, the trees get a hug (as they should! ), the park bench, the fire hydrant, even the mailbox! Random bears and turtles feel the love, too, as well as rocks, sheep, snakes and the local ice cream truck. This is one totally hugging hugger--even a wee hedgehog is no obstacle for the hug machine's snuggles. This is a gorgeous book with lots of heart and a priceless, first-person writing voice. Charming, naive-style illustrations make it a joy to peruse and make for a character who's easy to fall in love with (not to mention desperate to squeeze). Just like that mailbox. And fire hydrant. But maybe not the hedgehog.